I Grew That! | I made that! I Grew That! And then I cooked it! I’ve been debating about whether to share this part of my cooking world, out of worry that some might find it boring. But I just can’t hold back anymore, because my garden is fully intersecting with my kitchen now, and I suspect it’s only going to get more intense! 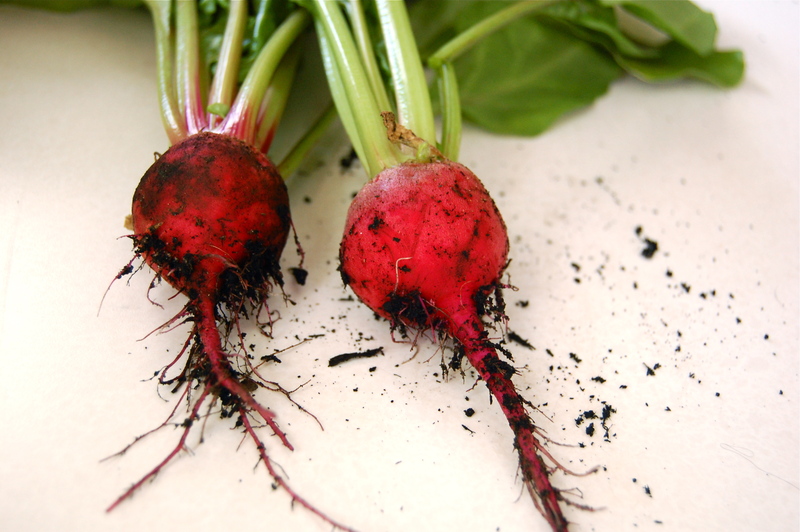 So here it is: Since moving to Seattle, I have been gardening my little tush off. I signed up for a month long course at Seattle Tilth, ordered some seeds from Territorial seed company, hit the Home Depot store (many, many times) and I was off! First I planted perennials around my yard: a sour cherry tree, a pear tree, a meyer lemon tree (potted since they don’t love Seattle as much as I do), blueberry bushes, strawberries, raspberries, an artichoke plant and asparagus. Those won’t really produce much this year, as they’re busy building up their roots. But man is next year gonna be fun. Once all of those plants were settled, I got to work on building veggie beds for my annuals. If you’ve spent much time in Seattle then you know that winter takes its sweet time passing the baton to spring. This makes for a shorter growing season than California, but a growing season that is JAM PACKED. I began in early March and after a couple rounds of spinach and arugula, things are in officially in full swing. It’s all so magical that I started taking photos of my bounty so I could prove it was really happening! So here’s my garden! 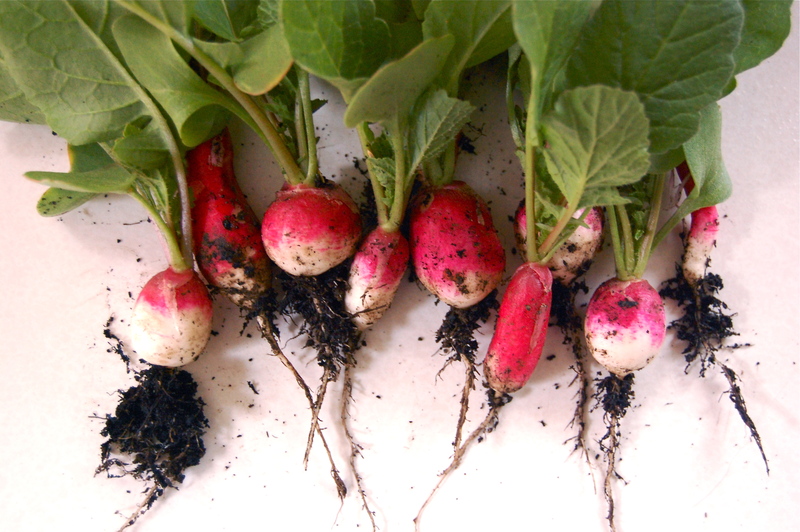 Beautiful (and spicy) french breakfast radishes. Lots and lots of butterhead lettuce. 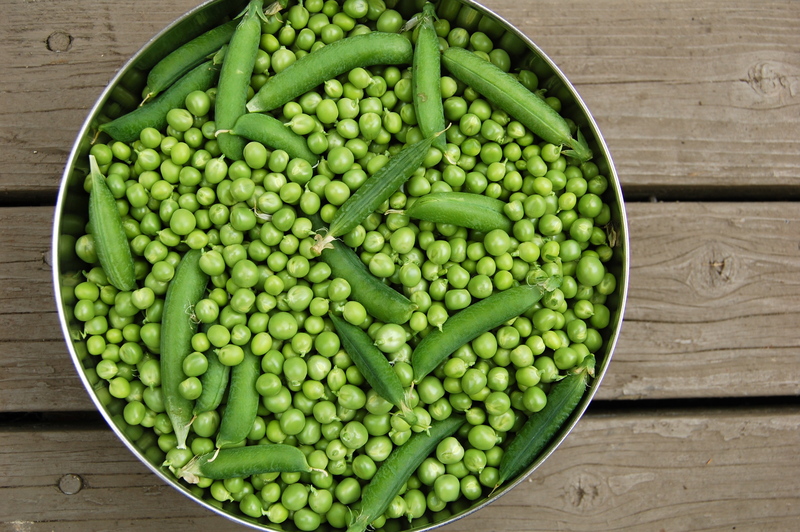 And my personal favorite (which is great since we have them coming out of our ears now), English peas! 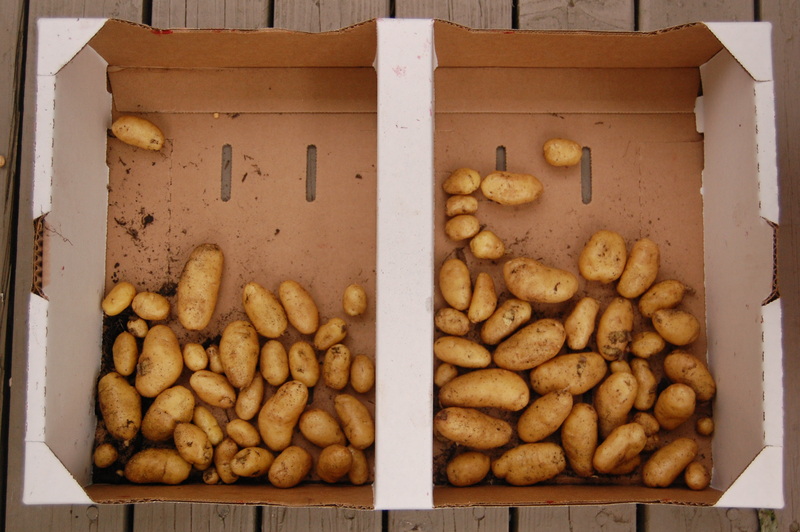 One of the (many) things I love about gardening is how things are just ready when they’re ready. And when that happens, you’ve got to act quick. Me and John received a CSA box for a few years before leaving San Francisco, so we started getting pretty good at designing dinner menus around what was in the fridge that week. Gardening is kind of like that, except you get all of one plant type at once! 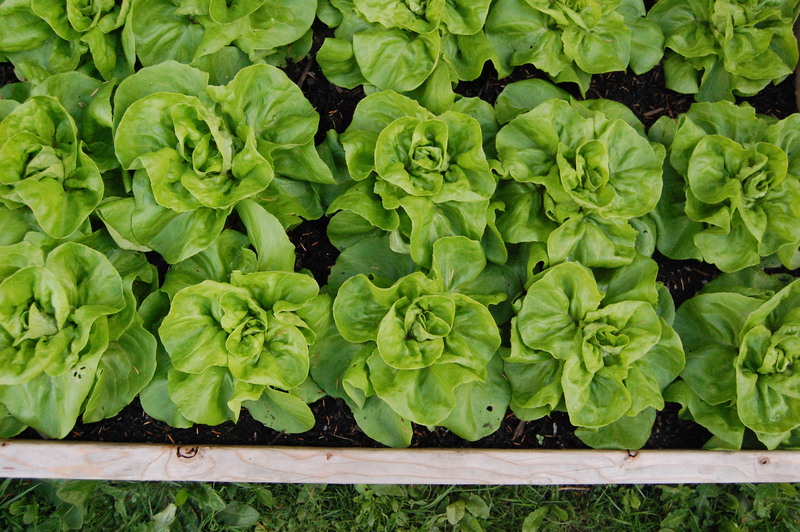 It was definitely hard keeping up with the mountain of arugula and spinach, but we did manage to eat all of our butter lettuce before the slugs took over. 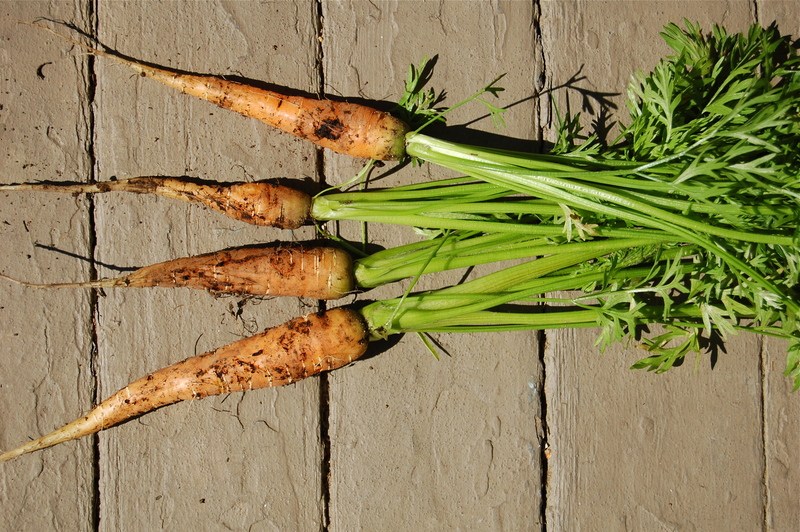 And the radishes and carrots, we destroyed them. The peas, however, they just keep on coming! Everyday I harvest about 2 cups, shelled, and we just add them to whatever is cooking. I discovered that peas barely blanched and then tossed with butter, tarragon and a little black pepper REALLY rocks my world. Bucatini all’Amatriciana only gets better with a pile of peas thrown in. Chicken Tikka Masala? Add some peas! Last night John cooked dinner and he made a Venetian style risotto dish that I feel should be shared, (even though I suspect the rest of the country is well past pea season) because it showcases English peas beautifully. I suspect this recipe will make it into the pea rotation every spring (or summer if you live in Seattle). – In a 10-12 inch saute pan, combine the olive oil, shallots, celery and prosciutto and cook over medium heat until the shallots and celery are softened but not browned, 8-10 minutes. – Add the rice and stir for 2 minutes, until it almost opaque. Add enough stock to just cover the rice, turn the heat up to high, and bring to a boil. Cook, stirring, until the stock begins to be absorbed, then add another ladleful. As the level of the stock dips below the level of the rice, continue to add stock one ladleful at a time, to keep the rice covered, stirring constantly. After 15 minutes, taste the rice, it should still be quite hard. – Add the peas and continue to cook for about 4 more minutes, adding a little more stock if necessary, until the rice is tender and creamy yet still al dente. 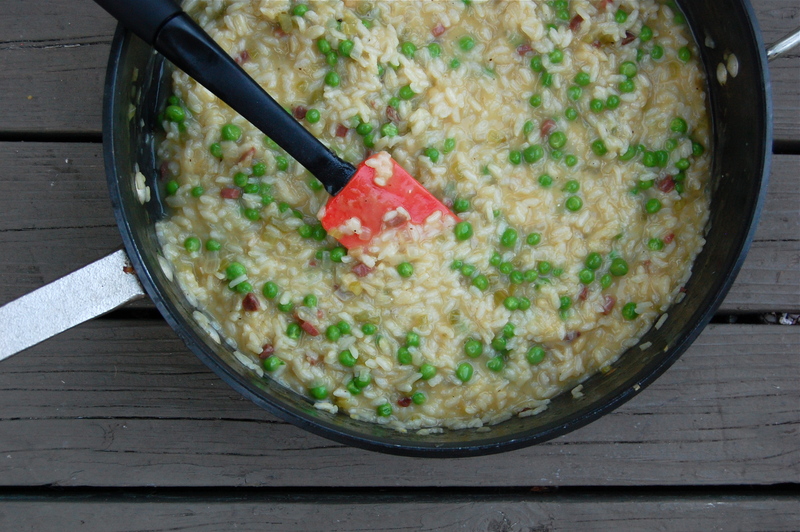 The risotto should be quite moist, but not swimming (I actually like it swimming), you may have a little stock left over. – Remove from the heat, add the butter and cheese, and stir vigorously for 25 seconds. Season with salt and pepper and eat immediately.